By storing the parts data in the SDD of the AP100 to the Cloud, You can see exploded diagrams and three-dimensional figure from the iPad and iPhone. 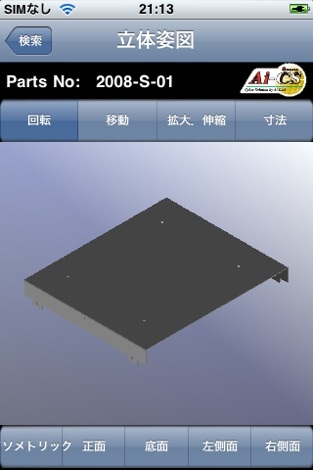 Can form three-dimensional figure from a part number search, you can rotate and zoom in the 3D viewer. This application can be used only Ai-Link Members Club membership.